Situated on the very edge of the sand in the Costa Brava region of Spain, the popular Treumal campsite is a great place to unwind in style. The staff here organise events and activities for people of all ages, while this is also the perfect place to simply sit and gaze at the ocean. This part of Spain is famous for its intense natural beauty and rich culture and is just waiting to be explored by guests at Teumal. While the little ones enjoy the activities in the mini club, adults will be able to work up a sweat in the gym, go sightseeing or simply relax on the beach. 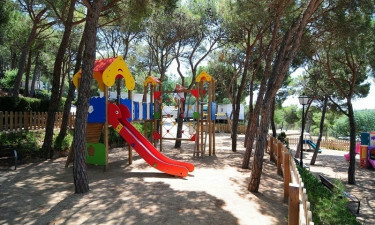 The site boasts a small pool that is ideal for children and water games. The pool is surrounded by a sunroom that provides enchanting views of the sea. Guests will be able to take a stroll from their mobile home to two stunning sandy beaches. 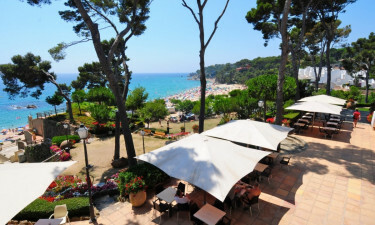 Both Can Cristus and Cala del Forn can be found on the edge of the luxury camping venue and boast plenty of space to spread out on, while there are also more than a dozen beaches to choose from further along the coast. Book through LuxCamp for a dream holiday.